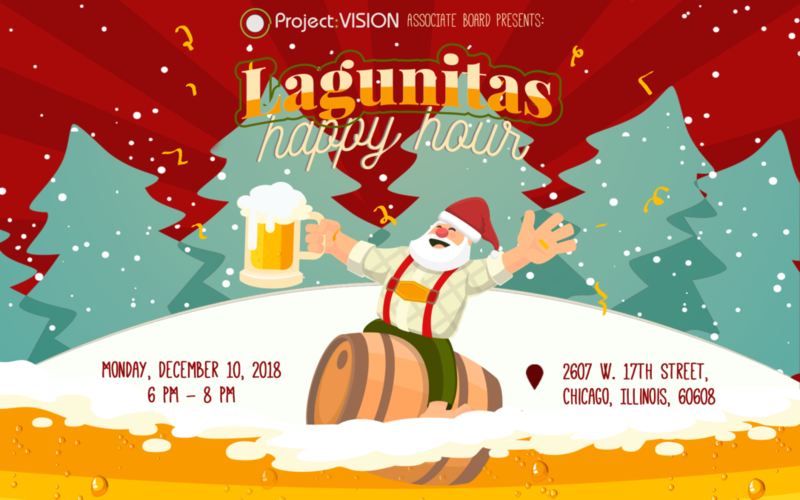 Come enjoy beer for a good cause and celebrate the end of the year with friends at Chicago’s very own Lagunitas Taproom! Project: VISION’s Associate Board is excited to invite you to join us in celebrating the end of the year! Whether you’re rolling out of that Thanksgiving coma or pre-pre-pre-gaming for the December holidays, we’re looking forward to enjoying beer and cheer. We’ll be providing good munchies; you’re providing good company – so join us and invite your friends, coworkers, family (21+), etc!